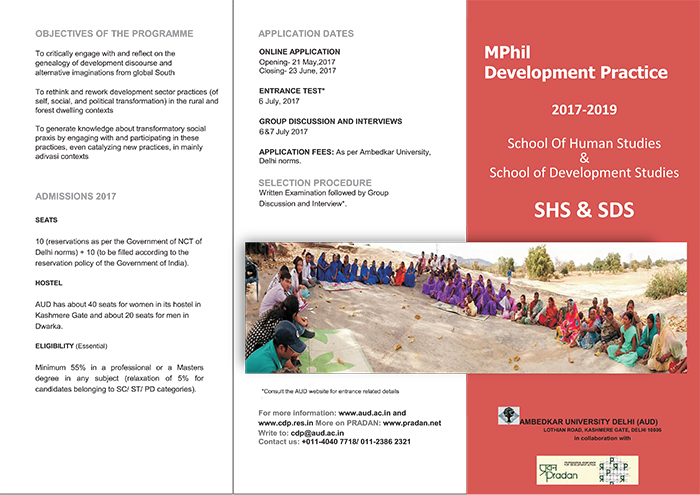 Admission for the 6th Cohort in a unique, professional MPhil in Development Practice at Ambedkar University, in partnership with PRADAN is open. Keeping in tune with Ambedkar University, Delhi’s (AUD) vision of setting up interdisciplinary and practice orientated domains/fields of enquiry and engagement, AUD in collaboration with PRADAN, a leading development sector agent, launched the MPhil programme in Development Practice (duration: 2 years; credits: 64; seats: 25) in August, 2012. 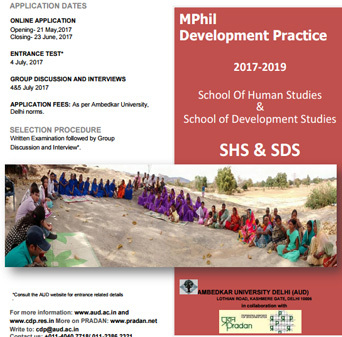 In-house AUD Faculty, Visiting Faculty, and Field Guides from PRADAN have been working collaboratively to train MPhil students, both within the university setting and also during their field immersion. It doesn't just teach theory, it actually equips you to work at grassroots and make a difference.